✔ Fire up to 220W with dual 18650s. 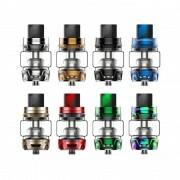 ✔ SKRR 8ml top filling tank. ✔ 0.001s firing rate. 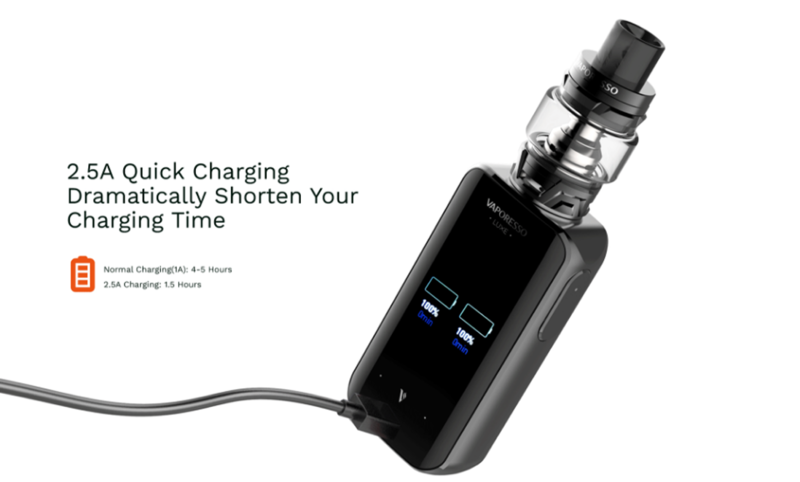 ✔ 2.5A quick charge. 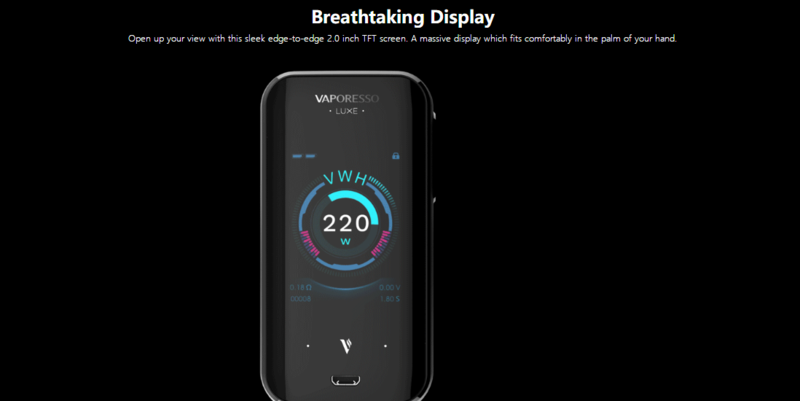 Vaporesso LUXE Kit comes with 220W mod and 8ml SKRR tank. 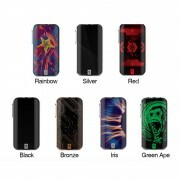 The LUXE mod is powered by dual 18650 batteries and OMNI-Board 4.0 chip. With the 2.5A ultrafast charge technology, it takes only 1.5 hours to fully charge. It features 2.0 inch full-view TFT screen with touch panel and optimized UI interface, which provides you with easier operation. The Insta-fire technology delivers 0.001s firing rate. 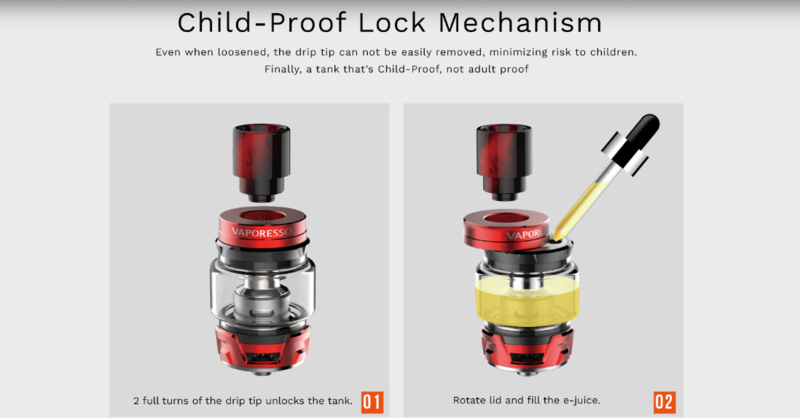 Paired with SKRR tank, that is designed with top filling system and child-proof lock mechanism. It boots an innovative QF air distribution system that can eliminate cold air intake and create bigger clouds. The QF Coil features bullet-shaped inner structure, no more spit back. And its flax fiber with cotton provides longer lifespan and great flavor. ➤ 1. 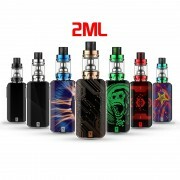 LUXE mod can fire up to 220W with dual 18650 batteries. ➤ 2. 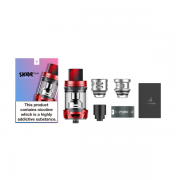 SKRR tank with 8ml large capacity. ➤ 3. 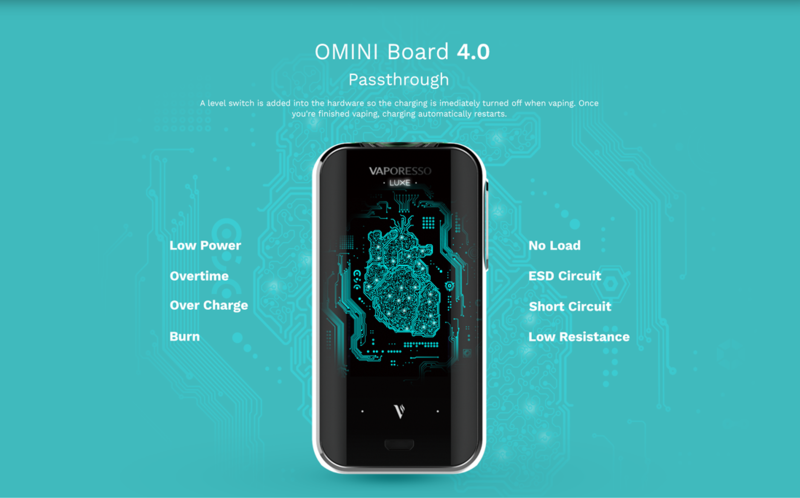 OMNI-Board 4.0 chip provides multiple protections. ➤ 4. With the 2.5A ultrafast charge technology, it takes only 1.5 hours to fully charge. ➤ 5. 2.0 inch full-view TFT screen with touch panel and optimized UI interface. ➤ 6. The Insta-fire technology delivers 0.001s firing rate. ➤ 7. Top filling system and child-proof lock mechanism. ➤ 8. 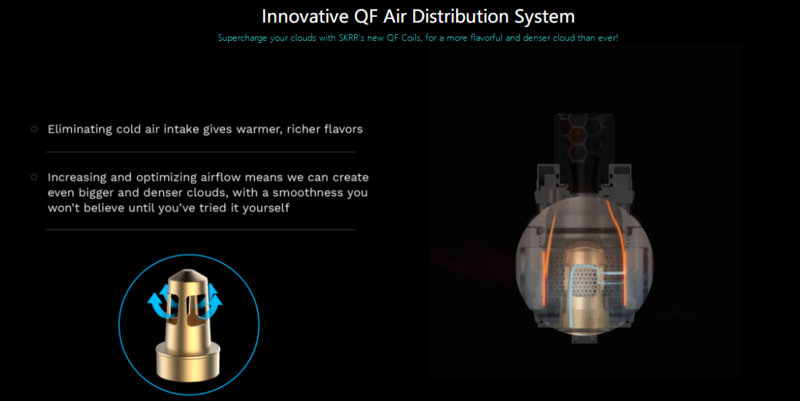 With innovative QF air distribution system, provides you with flavorful and denser cloud. ➤ 9. The QF Coil features bullet-shaped inner structure, no more spit back. ➤ 10. Provides best leak protection on the market. ➤ 11. 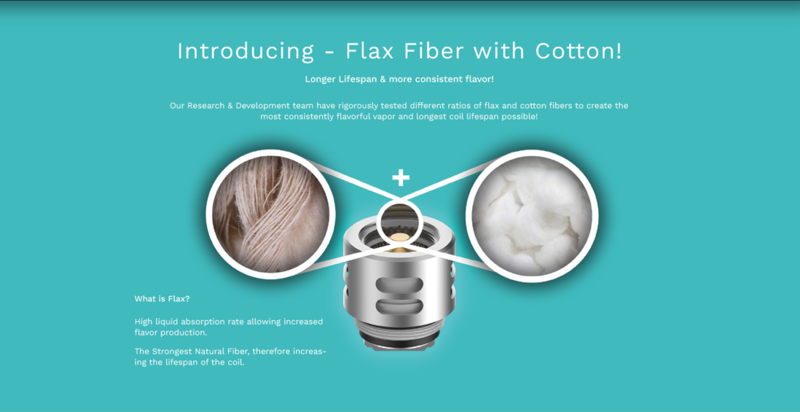 The flax fiber with cotton provides longer lifespan and great flavor. ➤ 12. Comes with powerful QF coils and all GT coils adapted. 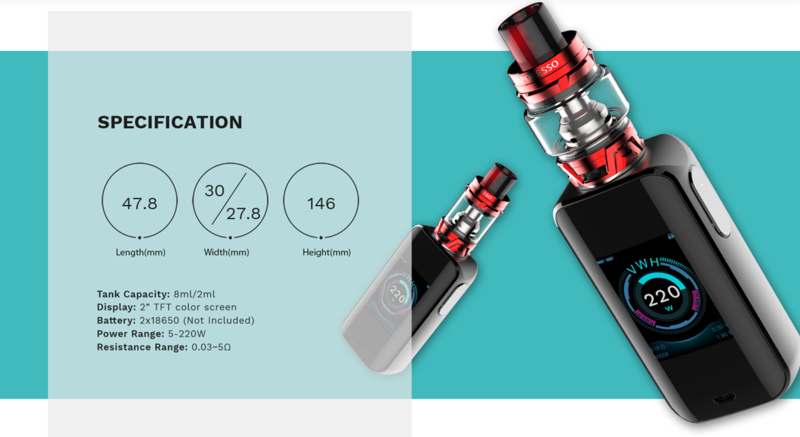 ❤ Please read the user manual carefully before using Vaporesso LUXE with SKRR Kit. 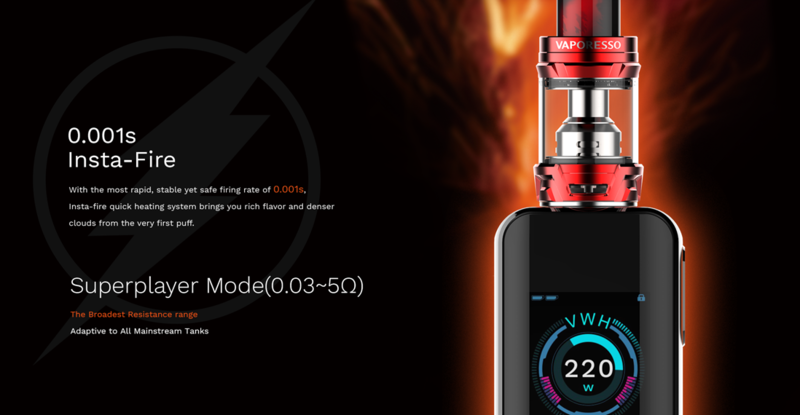 ♻ 6 months warranty period for Vaporesso LUXE with SKRR Kit.